Sevendust have tattooed their place in rock and metal and have been doing so since 1994. Through the years the band has released 9 studio albums, toured the world many times, and built a large fan base. 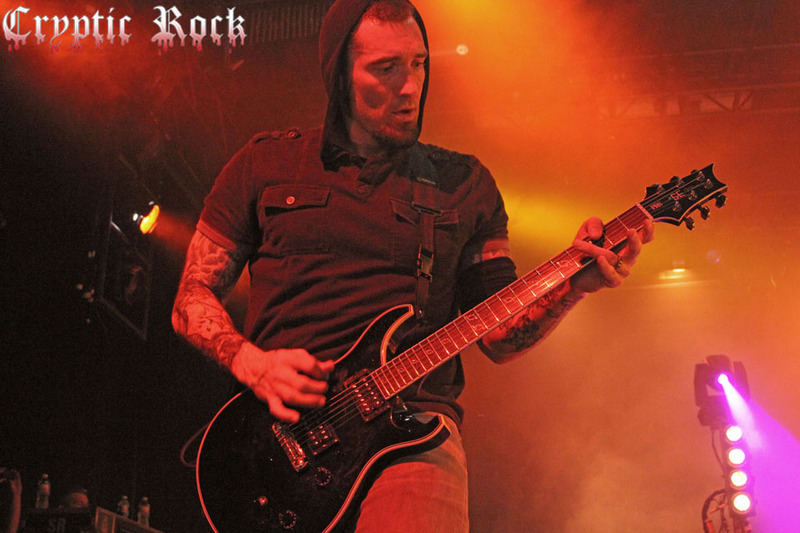 Founding member and lead guitar Clint Lowery has been a fixture in the band since their inception. In 2005 Clint took a 3 year break from Sevendust reuniting with his brothers in metal for 2008. Already an accomplished musician with Sevendust Clint has taken part in numerous other projects and continues to keep his creative energy flowing. Recently we sat down with Clint for an in depth look into the world of Sevendust, conquering his personal demons, and sustaining longevity. CrypticRock.com- Sevendust has been together for nearly 2 decades now. You have released 9 full length albums and built a massive following over the years. How does it feel to see all the hard work you have put into the band pay off? Clint Lowery- I guess the definition of pay off is different for everybody. We still have to work really hard to keep the machine rolling. It feels really good and I guess the payoff is just being able to stay in existence for this long and have that fan base like you were talking about. 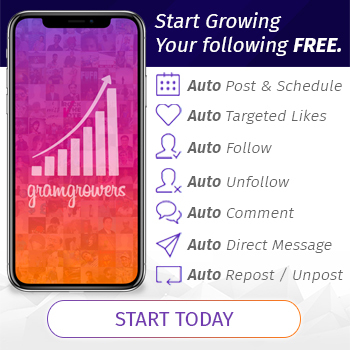 What I equate to be success is longevity and we’ve certainly have had a long run at this. We seem to be valid still and people are still coming to the shows. I feel very fortunately that we’ve been around this long. CrypticRock.com- Yes, you have been around a long time and the band is definitely still valid and that’s very impressive in an ever changing music industry. The band has essentially been the same line-up since 1994 but you took a leave of absence from Sevendust between 2005 and 2008 to pursue other projects. When you left Sevendust did you known deep down inside that you’d eventually end up back where it all started? Clint Lowery- When I left things were a little complicated in my life. For me I was going through a lot of issues at the time. I’ve always had love for the guys in the band. When I left I wanted nothing but good for them. I spent too much time with them to completely write something like that off, it was a huge chapter in my life. Yea, I think deep down like you were saying, I was always still really fascinated with what they were doing when I was gone. I was completely obsessed when they put a record out, I was always into it, and followed what they were doing. I think part of me was always thinking that there would be some kind of reunion and it happened, so I think it worked out really good for everybody. 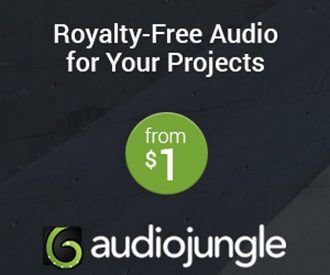 CrypticRock.com- It absolutely did work out. Now you have been back in the band for 5 years but you also remain actively recording with Dark New Day, and you also did another project named Call Me No One with Morgan Rose. Is it hard managing all these projects? 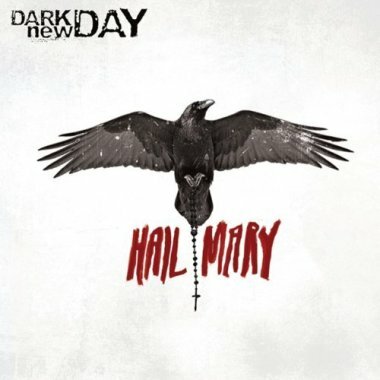 Clint Lowery- It isn’t because the perception is that there is new Dark New Day material coming out but we haven’t recorded anything for years. The last few things that were released were old songs from the vault that we were writing to actually record 2nd record. We actually did record a 2nd record, we recorded like 30 or 40 songs over the span of 2 years. We just release those in small doses so it just seems like there’s a lot of activity in the Dark New Day world but there was no time taken for me to do any of that. 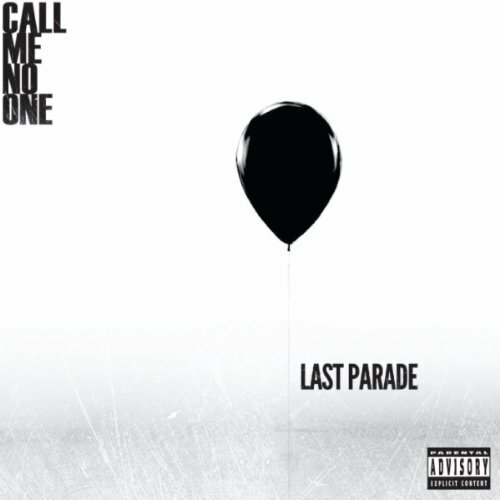 The Call Me No One project took 30 days. If I were to pursue touring that and do Sevendust it would be very difficult to do it all and give it all the proper attention. Sevendust is obviously the main priority. I think those other projects are healthy to do for me because I just can’t sit and wait 1 1/2 to 2 years to do a record. CrypticRock.com- Now as if you don’t keep yourself busy enough you also started another project called Hello Demons…meet Skeletons with your brother Corey. Tell me what was the concept behind this project? Clint Lowery – I actually just recorded another EP for that. This will be the 4th EP I’ve released. My brother was involved and helped me put together the first one but I haven’t done it with him since. I do it by myself, it’s cool, that is more of a personal project. Lyrically everything is basically about where I’m at in life and what I deserve at the present time. It’s really fun man, I really get a lot of enjoyment doing it and the small little fan base that is into it. That is kind of the closest one to me of what really matters in my life and merging that with the music, that is what that project is to me. It’s about getting sober, family and everything. It’s my personal little diary. Crypticrock.com- That has to be a great release for you and the music is great. Do you plan on touring with it at all? Clint Lowery- Yea there’s a good break we’re going to have in October into November. That’s probably when I’m going to release the new EP. The new EP is not as acoustic based, it’s more rock with lots of programming. It’s kind of a merge of what you’ve heard from HMDS and Call Me No One. I don’t want to say it’s strictly an acoustic thing because it’s fun to do rock stuff as well. Yea I’m going to do a couple of weeks of touring, at least 3-4 weeks before the year is over with. CrypticRock.com- Cool man, that is something to look forward to. 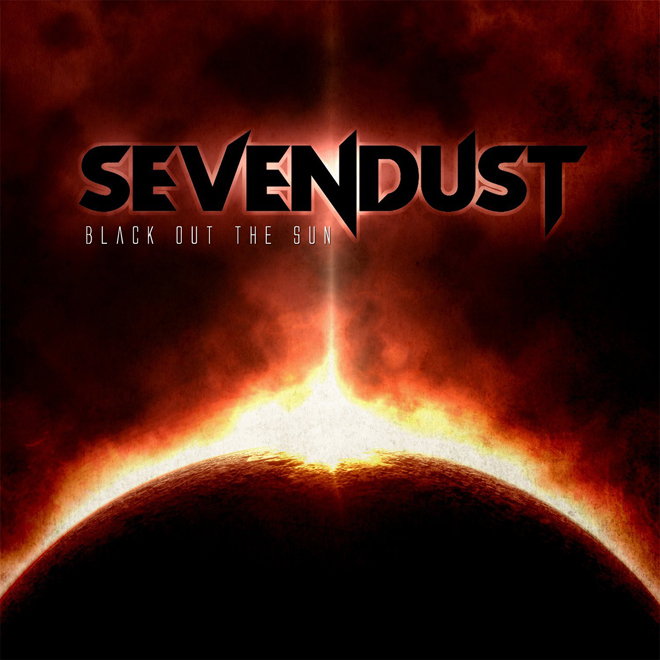 Sevendust released their 9th studio album Black Out The Sun in March. What was the writing and recording process for the new record? Clint Lowery- It was good because we had taken a lot of time off. We went into the same studio we did the Call Me No One record and we already had a good familiar production team there. We went in and did the whole entire record in 30 days. We wrote, tracked it, and produced it ourselves. There was a lot of pride put into that, going in and doing it ourselves. A producer is really a useful tool as far as being a referee for the band, but we felt like we were in the state of mind that we had a break and there wasn’t any animosity at that time. We knew we could weather a record doing it ourselves. If we had been out for two years on tour and going into the record, there’s a lot of resentments, you live with each other, right on top of each other, it’s hard. We were fresh and the record came together pretty fast. CrypticRock.com- Yes and it’s a very strong record. You had mentioned how it’s hard to be on top of each other all the time. Sevendust are somewhat road warriors. You guys seem to be on tour 365 days a year. How do you manage being on the road so much and how do you keep yourself healthy? Clint Lowery- Some do better than others (laughs). I don’t drink anymore, I’m out here to do a job. Anyone who says that this is a hard job, at least at our level that they’re not roughing it in a van, they are lying. At our level we have people bringing us food, we have people taking care of us every day. Of course some places are better than others but this is an easy job. Ultimately just staying healthy is up to the person out here. You can drink yourself to death out here, you can do drugs or you can rest , do your shows and focus on what you are doing out here. It’s up to you, it’s all what kind of situation you want to put yourself in. I’ve been doing this too long to be out here pounding drinks every single night, it will just tear you up. I mean it almost took my life going that route. CrypticRock.com- It seems like you found the balance you needed in your life and sometimes it takes a little longer being on the road so much. You definitely have seemed to have found that balance. Clint Lowery- Yea some people can come out and enjoy themselves in certain ways. I personally couldn’t do that, I was an all or nothing kind of guy. I see people all the time though, they kind of do things in moderation, get the rest they need, and do what they’ve got to do. The hardest part about touring is being away from your family. That’s the job part of it. Crypticrock.com- Being away from home has to be really tough. I imagine yourself and the rest of the guys in Sevendust must be very close touring, writing music, and being together so much over the past 20 years. What do you think the key to keeping the core of Sevendust together? Clint Lowery- I think the beginning goal was when the band was put together was finding guys that you actually enjoyed being around. The guys you were friends with and the guys you had mutual respect for. Instead of looking for “the best guitar player” we wanted to find a band of guys who really enjoyed being in the same room together. We laughed, we had a lot of fun in the very beginning and we still do. I think we made that the main objective to get in the room with some guys you enjoyed playing with. It kind of helped us endure the ups and downs. We all know each others family, we’re brothers. We’ve been through a lot of stuff together. I’m amazed by it too. We still go do stuff together, we’re not separating ourselves. Egos are a huge part of bands having issues with each other and if you can control your ego then you can survive. It’s just like anybody that’s worked together for 20 years, people do it everywhere but for some reason in a band egos become a major issue. 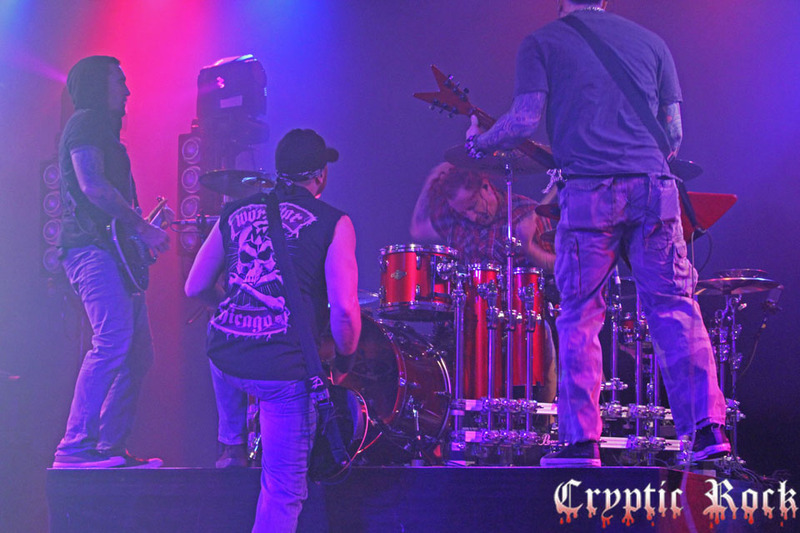 CrypticRock.com- It’s obvious the band keep their egos in check because the result is longevity and longevity leads to success. So you guys still hang out outside of playing together? Clint Lowery- Lajon lives 3 hours from me but he came up to my son’s birthday party. Morgan and I spend a lot of time together away from the music business. We truly have a good friendship, I don’t want to jinx it because every time I say that we have a huge argument (laughs). There are ways to navigate through each other. When things are tense you just kind of put space between each other and you learn how to do that. Crypticrock.com- You guys have mastered that and I don’t want to put a jinx on you either (laughs). I’d like to know what some of your musical influences are? Clint Lowery- My father, my older brother, my mother were huge influences. We’re a very musical family. Steve Vai is an amazing guitar player. I love all the classic rock, all the 80’s rock, all the 90’s grunge, to deep metal. I love it, any music that’s sincere. There’s so much good music out there and it seems pointless to limit yourself to one thing. Nine Inch Nails, I pull so much from Nine Inch Nails that people don’t even realize. Trent Reznor is just amazing. Dave Grohl. There is so many cool bands out there. Periphery is one of my newest bands and Karnivool is another band, great band. Crypticrock.com- Now you mentioned Trent Renzor of NIN. I recall when you guys recorded that acoustic double album with the DVD you did a phenomenal cover of NIN solely. That was great man. Clint Lowery- Thank you very much. That was a cool day. We actually did a version of Johnny Cash meets NIN version. We recorded it the same day Johnny Cash passed way. Crypticrock.com- I didn’t realize that was the same day Johnny Cash passed away. That had to make it more emotional for you. Clint Lowery- Yea we’ve never played the song before and I was talking to the guys driving up from Atlanta to Athens. I said lets record the song, let’s just play it tonight. On the Southside Double-Wide Live was the first time we’ve ever played it, I mean ever. Crypticrock.com- That’s an interesting story and makes it even more enduring. My last question for you is regarding films. 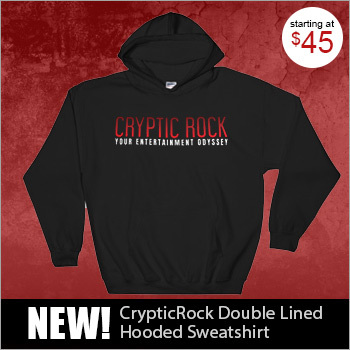 Crypticrock.com is a rock/metal and horror news site so we like to focus on all genres. Are you a fan of horror films and if so what are some of your favorite horror films? Clint Lowery- Oh man, I love horror films. 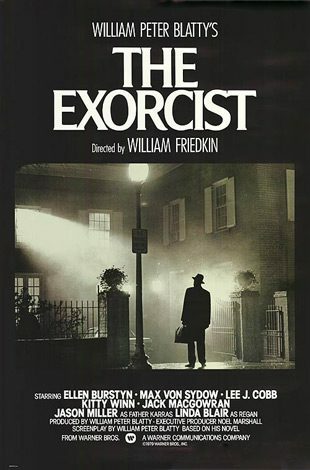 There is obviously the classics like The Exorcist and The Omen. Happy Birthday To Me, just any of those. I was more into the demonic possession kind of movies, anytime those come out I really have a fascination with those. There is so many to name, Poltergeist and Halloween. Halloween was the best when I was growing up. 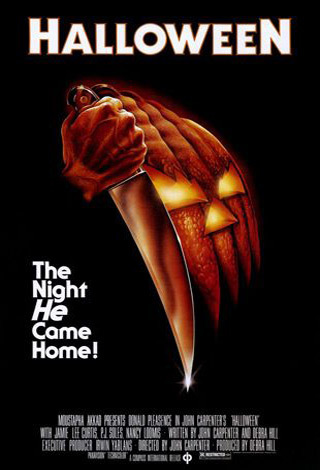 I still am a big Michael Myers fan. Some of even the funnier ones that get kind crazy. We are all big horror film buffs on the bus so there’s always people bringing different ones on the bus. Sometimes you get a little disappointed in the ones coming out you want them to be a little scarier or more brutal. Every now and then you get a good surprise. Check out Sevendust on facebook. Also be sure to check out Clint Lowery at www.clintlowery.net and follow him on twitter.